Volvo CE and its customer Skanska have recorded groundbreaking results at the Electric Site. 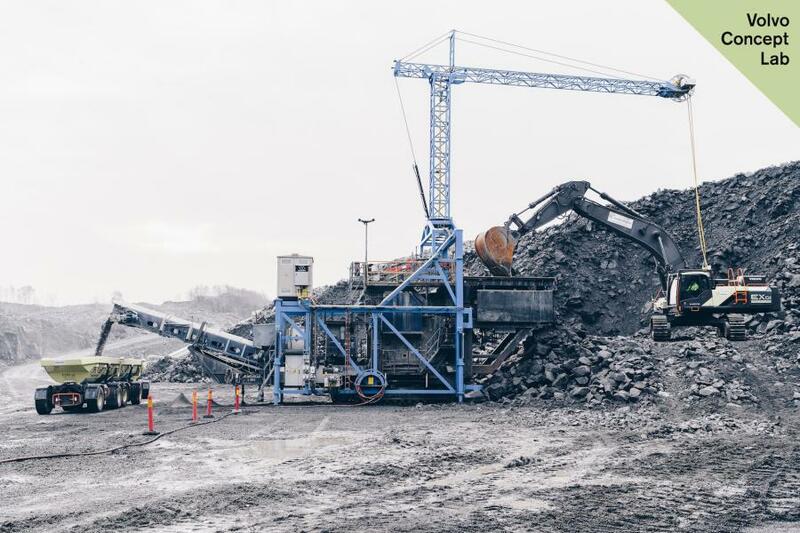 Volvo Construction Equipment (Volvo CE) and its customer Skanska have been testing the viability of the Electric Site research project over a 10-week span at Skanska's Vikan Kross quarry, near Gothenburg, Sweden. The results are now in and they are even better than expected. The tests showed a 98 percent reduction in carbon emissions, a 70 percent reduction in energy cost and a 40 percent reduction in operator cost. The results also indicate that the Electric Site project takes a big step towards helping Volvo CE achieve its future vision where work sites are 10 times more efficient, with zero accidents, zero unplanned stops and zero emissions. Together, these results support the potential for a 25 percent reduction in total cost of operations. However, at this stage, the reduction in total cost of operations is just a prediction. As the prototype machines are part of a research project and are not commercially available, it is impossible to give a guaranteed figure. 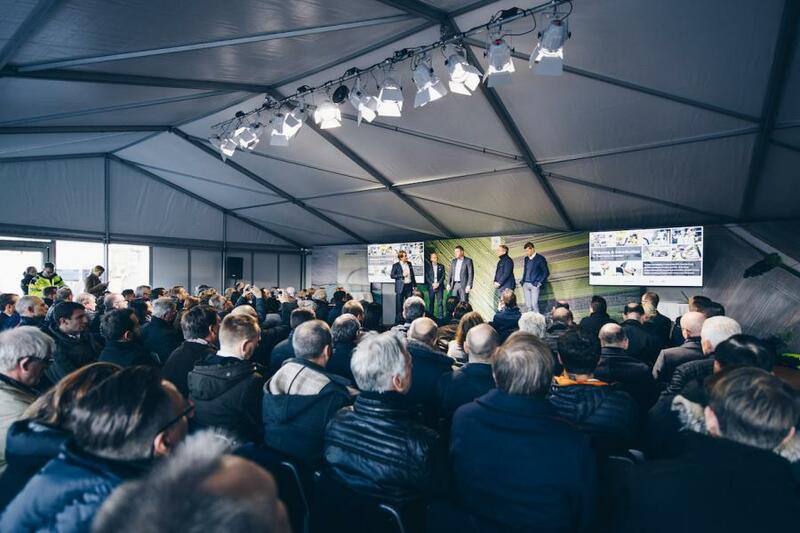 "Over the last ten weeks, we've made incredible progress, learned a lot and seen huge potential in the Electric Site solution's environmental, efficiency, safety and cost benefits," said Uwe Müller, chief project manager of the Electric Site at Volvo CE. "In fact, we have decided that we want to learn more, so we will extend our test period with Skanska until the end of the year. The results we have seen so far confirm that this research project is a step towards transforming the quarry and aggregates industry and creating emission-free quarries." The Electric Site project aims to electrify each transport stage in a quarry — from excavation to primary crushing, and transport to secondary crushing. It incorporates electric and autonomous prototype Volvo CE machines, new work methods, and site management systems, which together form a complete site solution. New technology encompasses machine and fleet control systems and logistic solutions for electric machines in quarries. "With climate change reshaping our industry, we need to find new, sustainable solutions and build partnerships with organizations that have different competencies," said Anders Danielsson, president and CEO of Skanska. "Our ambition is that this collaboration with Volvo CE will help us and our customers to reduce our carbon footprint. The power of partnership will make it happen." The Electric Site project involves eight HX2 autonomous, battery-electric load carriers, which transport the material from the primary mobile crusher up to the secondary static crusher. 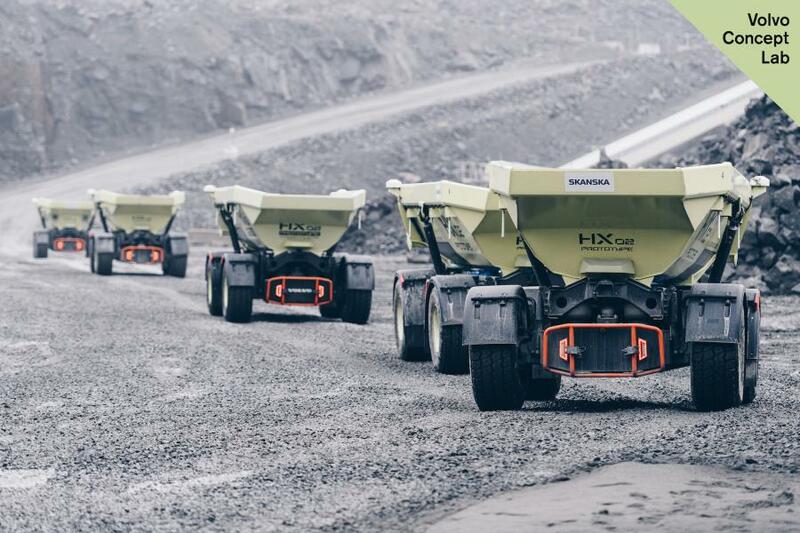 When it came to energy use per ton, the HX2s proved that they could help Volvo CE take a big step towards achieving its future vision where work sites are 10 times more efficient. The second-generation prototypes incorporate shared technologies and components from the Volvo Group. They use a lithium ion battery to power two electric motors which drive the machine; the hydraulics are driven by an additional electric motor. The HX2 is fitted with a vision system, which allows it to detect humans and obstacles in its vicinity. It can follow an adjustable, pre-programed GPS path. The LX1 prototype electric hybrid wheel loader delivered more than a 50 percent improvement in fuel efficiency at the quarry, as well as significant reductions in emissions and noise pollution, compared to its conventional counterparts. Its job was to organize the piles of material at the site. The LX1 is a series hybrid that incorporates a driveline that consists of electric drive motors mounted at the wheels, electric-driven hydraulics, an energy storage system, a significantly smaller diesel engine and new machine architecture, including a new design of the lifting unit. It's this combination that enables the substantial gain in fuel efficiency. The EX1 70-ton, dual-powered, cable-connected excavator prototype loaded the primary crusher at the quarry. The base machine for the EX1 is a Volvo EC750 crawler excavator that has been upgraded to incorporate an electric motor in addition to the diesel engine. At the quarry, the machine was plugged into the grid, so zero emissions were emitted. If the cable is connected, the EX1 will automatically start in electric mode. If it's not, it will start in diesel mode. The EX1 is operated in exactly the same way as a conventional Volvo excavator. "At Volvo CE, we believe in a sustainable future and we are doing our best to build the world we want to live in," said Melker Jernberg, president of Volvo CE. "The Electric Site is one example of how we are trying to achieve this. With this research project, we are combining intelligent machines, automation and electromobility to challenge traditional ways of working in the quarrying industry and explore new alternatives. We will now further mature the technologies involved and the reliability of the concept. Developing, testing and validating prototype machines with a customer at an early stage in the process speeds up development and ultimately brings more value to us and our customers."